Let's rock and get wild on the dance floor! Let's start the month right by rocking on the dance floor! 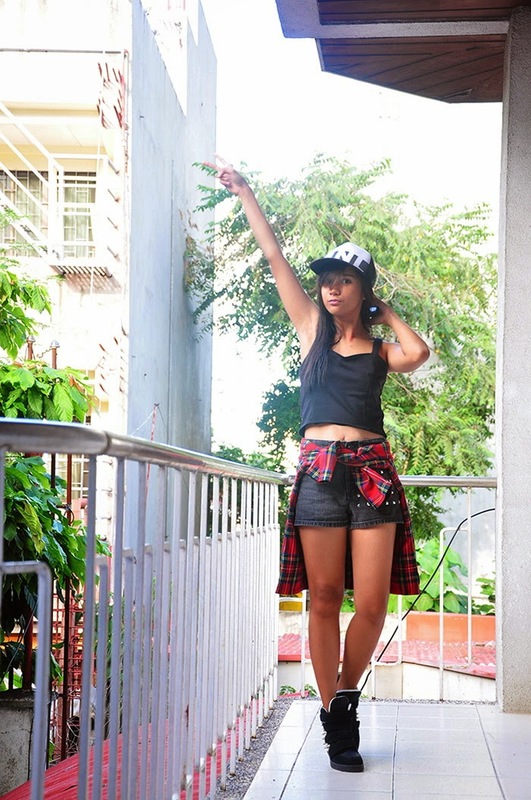 How I miss chillin' with friends and wearing this kind of outfit! I swear if I got a new baby, I will be sharing more style posts and better photos. For now, we have to deal with my hidden OOTDs in my memory card! Hah! What do you usually wear when going out to a club or just even chillin around at your favorite cafe? Are you the kind of girl who wears your pastel color top, ruffled skirt and your mid strappy heels? Or are you the conservative one who slips on your jeans but balancing it with a flouncy sleeveless? For me, I would try a lot of mix and matching, to the point I don't know what to wear! Hah! I know we girls are guilty about that and still ending up wearing what is comfortable! Agree?